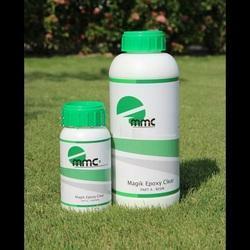 Backed by the rich experience and a competent team of professionals, we are able to offer Grouting Compound. Color: Colours Ivory, white, black, grey, sky blue, cream. ENIGROUT NS-555 General Purpose Grout is specially formulated non-shrink tile grout. It has excellent bonding with almost all type of tiles and stone. We are looking for Bulk queries only. - For sealing and waterproofing of the tile joints, stone joints etc. - It gives excellent bond strength. CP NanoGrout GP is a cement based, non-metallic, non-shrink, free flowing grout that maintains a fluid consistency for a longer duration. Epoxy Grout comprises of 3 components PART 1, PART 2 , PART 3 . For best results and ease of application to fill stone and tile joints mix the grout to a smooth and consistent creamy mixture. We offer to our clients superior quality of Epoxy Grouting that are known for their effectiveness in filling fine hairline cracks in concrete and rock. Epoxy grouting is solvent free, low viscosity injection grout. 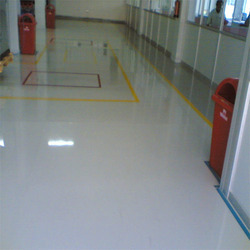 We offer our clients superior quality epoxy grouting. These are popular for its effectiveness and durability.